I usually do not get political or controversial on my blogs. And I don’t expect this to be a start of anything different. I do want to say, though, that the principal in Nebraska who banned candy canes from the classrooms because they were in the shape of J representing “Jesus” has made my day. “What?” you say. Yes, she made my day. 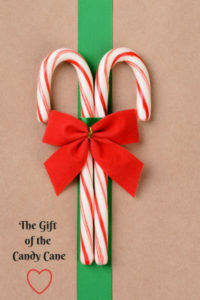 You see what she intended for bad to quash the meaning of Christmas has now become national news and people who never thought of the candy cane as a J for Jesus is now going to remember the candy cane associated with Jesus. So rather than criticize the woman, I want to thank her for just bringing this fact to light so that Jesus could use it for His good. WOW!! Thank you, Principal Sinclair, for reminding us that the candy cane has a deeper meaning than red and white striped peppermint-flavored candy. You can’t outdo God. He is amazing!! Grab a couple J-shaped peppermint sticks today and enjoy a little treat and a whole lot of Jesus! This entry was posted in devotional, inspirational, motivational, spiritual on December 7, 2018 by Deanna Young. Yes!!! Spin it around to use as good!! Amen! I’m going to be giving Jesus sticks on my presents this year! !